AUBURN | Thomas R. Bachman Sr., 74, of Auburn, passed away unexpectedly early Monday morning, Jan. 21, 2019, at home. He was born in Auburn, the son of the late Joseph and Martha Phillips Bachman and had been a life resident. Tom graduated from Mount Carmel High School, class of 1962. He would then serve our country honorably and proudly as a U.S. Marine during the Vietnam Era. Tom worked for more than 45 years, most of them as a warehouse manager for the former Mutual Candy Company in Auburn. He would retire in 2012 after more than 16 years of service at Tessy Plastics, due to injuries sustained in an automobile accident. Tom was a very devout Catholic and longtime communicant of St. Mary’s Church. He also enjoyed watching Notre Dame football games and was an avid New York Mets and Cleveland Browns fan. Tom was most happy the times spent with his family and especially loved the many hours spent with his grandchildren. He will be sadly missed. He is survived by his loving wife and best friend of more than 47 years, Bonnie (France) Bachman; son, Thomas R. (Jayde) Bachman Jr.; daughter, Theresa (Craig) Diego, all of Auburn; Sister Dolores Bachman, of St. Joseph’s in Rochester; a brother, Joseph Bachman, of Auburn; seven grandchildren, Gabriel, Rachel, Michael, and Maverick Bachman, Kaitlyn, Elizabeth, and Craig Diego Jr.; sister-in-law, Paula Bachman, of Syracuse; as well as several nieces, nephews, and cousins. In addition to his parents, Tom was predeceased by a brother, Jack Bachman, and sister-in-law, Sandra Bachman. Friends and relatives are invited to join the family at 10:30 a.m. this Friday in St. Mary’s Church for Thomas’ Mass of Christian burial. Interment will be in St. Joseph’s Cemetery, where military honors will be accorded. Calling hours are from 4 to 7 p.m. Thursday at Pettigrass Funeral Home, 196 Genesee St., Auburn. 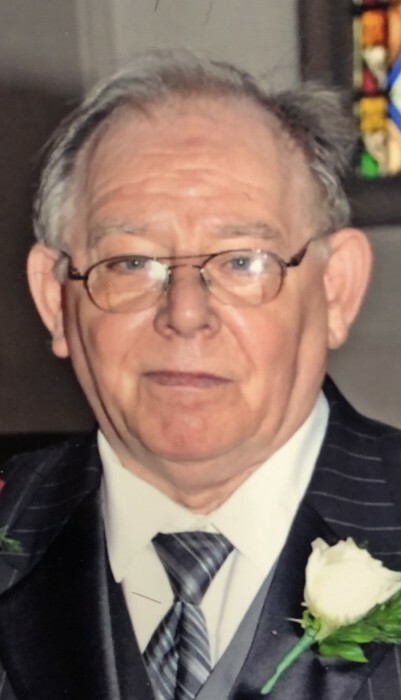 In lieu of flowers, contributions may be made in Tom’s memory to the American Diabetes Association, St. Mary’s Church, or Auburn Little League Baseball.